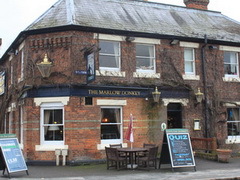 Here’s the list of pubs in Marlow in alphabetical order with our brief summary of each. In some cases we have more detailed reviews to refer to. 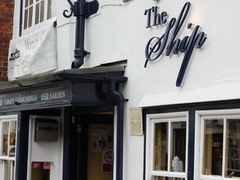 The largest bar on the High St is an upmarket, and over 21s bar. An impressive interior design, but prices are not exorbitant at all. 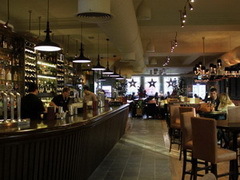 Cocktails start from 5.95, shooters at 3.50, plus a good range of draft and bottled ales, lagers and ciders. (The real ale is from parent company McMullens brewery). Wine costs from about 13 a bottle.. right up to some quite pricey champagne! Open until 1am Fri/Sat. 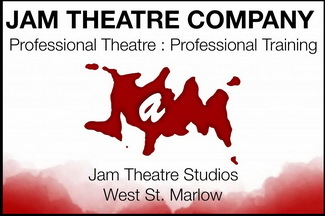 Read our detailed review from the opening in December 2012. Large pub to the east of town. 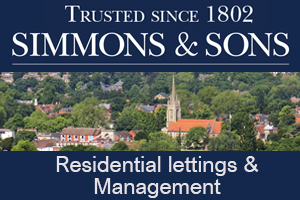 Recently redeveloped, and significantly improved. Good value food – traditional pub grub in decent portions. Our full review on opening is in our blog here. We will update on atmosphere and everything else once it’s been open a short while! Pub at the front, and restaurant at the back. 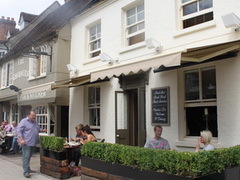 The pub area is large and comfortable, with outdoors seating fronting the High St. Brakspears beer is on offer, with a good range of wines and bottled drinks. Good value bar snacks available, if you don’t want to give the restaurant a try. DETAILS: Food served: Until 12pm Fri/Sat, 9pm Sun, 11pm other days. Late license: Fri and Sat until 1am. Beer Garden: A few tables on the High St. Parking: On-street only. Children welcome: Yes, in restaurant. Pub is Over 25s only. Wifi: Yes, free for customers. Disabled access? Yes, with disabled toilets. Technically, this is a part of the Chequers premises (see above), but is marketed and run as a separate entity, being “a pub dedicated to all things Craft Beer”. It has 8 draft beers at any time, plus a wide range of beer in bottles & cans. They have a small food menu, aiming to provide snacks that are great with beer – eg homemade sausage rolls. Antosh who runs the bar injects a real buzz into the place which has a great ambiance, and a friendly welcome. They also excel at putting on some great entertainment – regular DJ nights, live music, film nights, a monthly quiz… and have had some quite high profile “headline acts” at party nights, keep an eye out for those! In the summer there is the lovely little courtyard garden, with an outdoor bar. The food offering is based around tapas-sized portions ideal for a snack or buy a few to share, plus a few mains. Homemade and delicious. We like it there, can you tell? 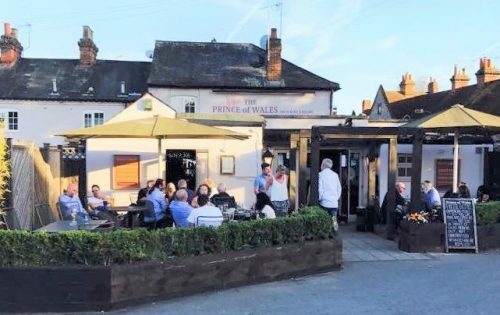 Large pub, though the fact it is a (short) walk from the High Street means it attracts less of the tourist crowds, but still has a decent buzz, and we always experience a friendly welcome. 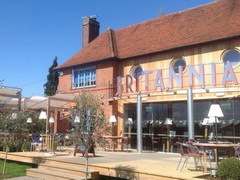 Good range of food, and a huge garden – the best pub garden in town I’d say. Family friendly, with children allowed up till 9pm. Has a quiz on Thursdays.. we tried it out and came second. Late Licence: Fri and Sat until midnight. A decent traditional local pub. A short walk from the town centre, but worth it for a change of scene and pace! 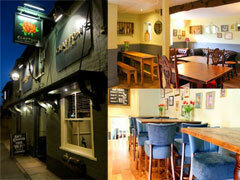 Extensively refurbished in Aug 2008, and is a restaurant as much as a pub (see entry in our restaurant section). 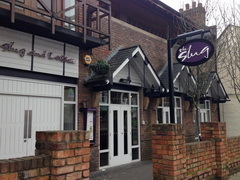 Going there on a Friday night we were overwhelmed by the very young average age of clientele, not sure if this is normal, so until we revisit we will rely on your comments….. Late Licence: Fri and Sat until midnight. 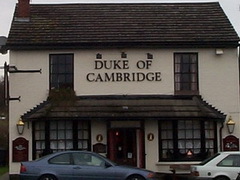 A long established and popular, friendly local pub. Bar area at the front, and a larger seating area at the back where you can get great pub grub from “Carol’s Kitchen”. Regular Open Mic events, and live music, all detailed on their Facebook page. Late Licence: Fri and Sat until midnight. 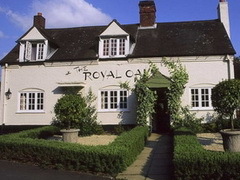 A great country pub, a stones throw from Marlow town centre. Rebellion beer on tap (3 varieties on my last visit). Decent sized garden with a ‘Petanque’ area. Most of interior is in effect a restaurant, where the food is of a very high quality, and warrants a fuller review in our restaurant listings. 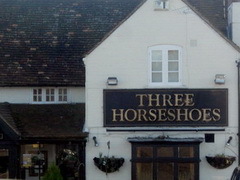 A spacious pub, attracting a youngish crowd, with a good selection of beers and serving a wide selection of food all day. Part of a well known chain, so nothing like a traditional pub… but does a good job in its target market. DETAILS: Food served: Until 10pm every day. Late license: Fri and Sat until 1am. Beer Garden: Very small (four tables). Parking: On-street only. Children welcome: Yes, until 10PM, kids menu and baby changing. Wifi: No. Disabled access? Yes, with disabled toilets. REGULAR EVENTS: Quiz Night Tuesday, Half-price food all day Monday. Just outside of town, past the Marlow Bottom turn on the way up to High Wycombe. Very highly rated for it’s Rebellion beers, and extensive food selection. 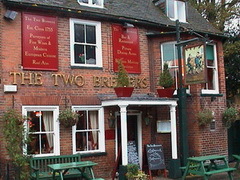 Worth leaving the town centre to visit – just get someone else to drive so you can make the most of that lovely beer! 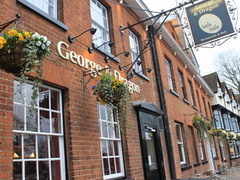 A historic old pub, dating from 1755, and certainly retains the traditional English pub atmosphere. Well known for it’s food, which is somewhat more sophisticated than your typical “pub grub”, see separate entry in our Restaurant reviews. Late Licence: Fri and Sat until midnight.